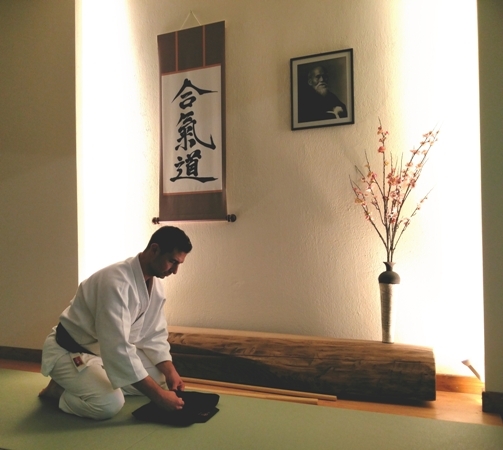 The etiquette is an essential part of Aikido training. the dedication to training and improvement of one’s self. The etiquette is a cultural tradition and bears no religious or philosophical meaning. Aikido is a martial art, which consists of highly accurate techniques that require increased motor skills. The etiquette enhances dedication during training. 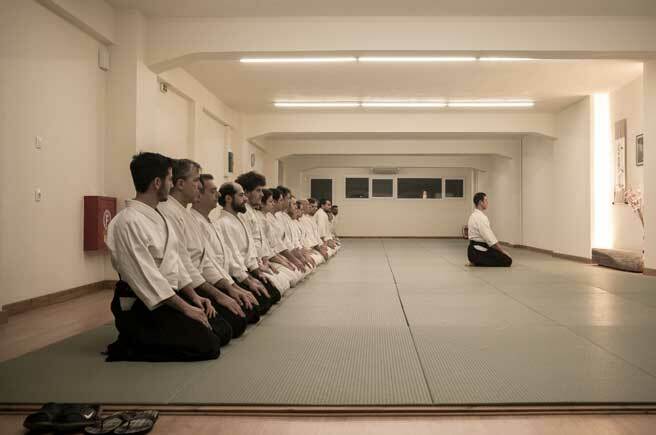 Upon entering and leaving the dojo, all students bow in the direction of the kamiza and the picture of the Founder. Students should arrive on time. When someone is late, he/she sits in seiza and asks for permission to enter from the instructor. During the lesson, no acts of needless violence, contests of strength or offensive discussions are tolerated.